﻿ Company Profile-Transfer cart,scissor car lift,underground car lift,garage car lift|Moral lift Machinery Co.,ltd. 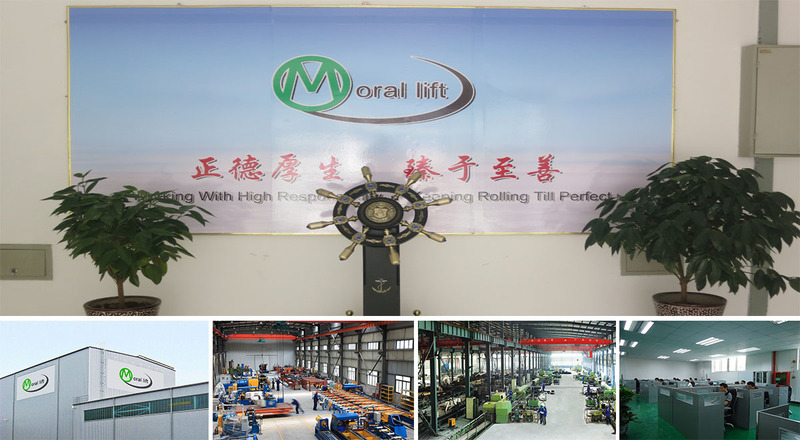 Welcome to the on-line home of Moral lift Machinery Co.,ltd.Our factory is one of the leading manufacturer of LIFTS in China.Our goal is to provide exceptional customer service coupled with quality products and lifting solutions. we earn our customer's trust and satisfaction by manufacturing the superior quality lifts products for all industries. All of our products are designed for reliable performance,easy maintenance,and maximum energy efficiency. MORALLIFT continuously innovates product development and management to meet customers' demand. The powerful enterprise culture and continuous innovation make MORALLIFT improved rapidly to reach the business principle"Quality first,mutual value shared". MORALLIFT mission is to be a high-end brand,with sustainable development,constantly improving its own value and sharing with our customers and staff. Committed to offer our customers a much better lifting solutions products. With over twenty years of experience in the manufacture lifts, Morallift’s skilled team of friendly personnel can provide fast responses and technical expertise.Our product has got ISO Quality Certification and CE Quality system as well. We always provide our customers with the best quality products, competitive prices and excellent services.